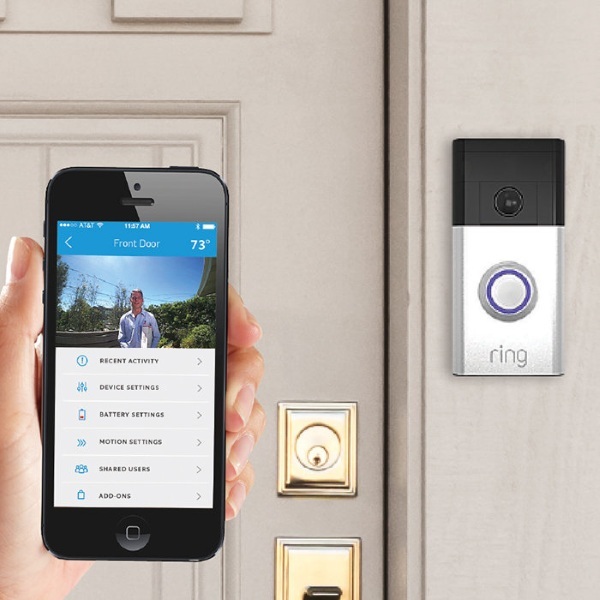 Ring is a doorbell that wirelessly connects to your devices giving a video feed of who’s standing at your entrance way. This is a bit of added security so you don’t open up for any shady individuals or solicitors. As soon as they ring the bell, you get a notification on your phone so you can check out who is standing there waiting for you. You can also talk to the person using the device so you can ask some questions as to who they are and what they want. Or just double check how much that pizza was so you can bring exact change to the door. The battery inside Ring last for a year and it is easy to install making this a no fuss addition to your smart home. The Ring Wi-Fi Enabled Video Doorbell is $199.99.